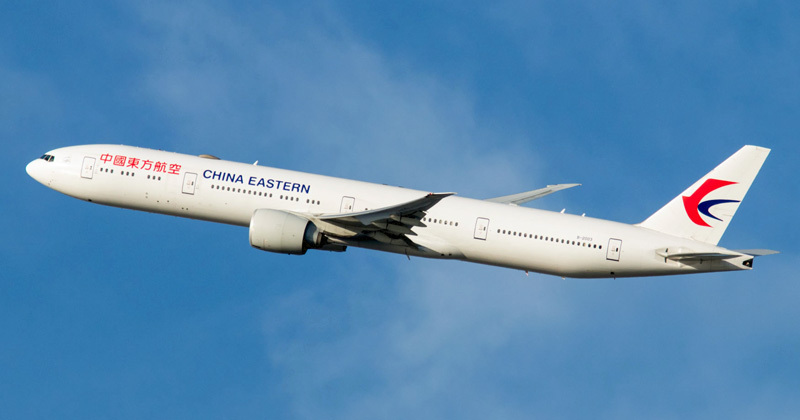 Qantas Frequent Flyer members can now book award seats with China Eastern Airlines via the Qantas website, whereas until now you had to call Qantas to book. This is the last major airline partner to be added to Qantas’ online award booking engine. China Eastern flies from Sydney, Melbourne and Brisbane to its hub in Shanghai, and onward to destinations in Asia, Europe and North America. Depending on where you want to go, it could be a useful alternative to Qantas’ better known partners (check out the route map here, but note that it’s not 100% correct – for example, it doesn’t include Brisbane). 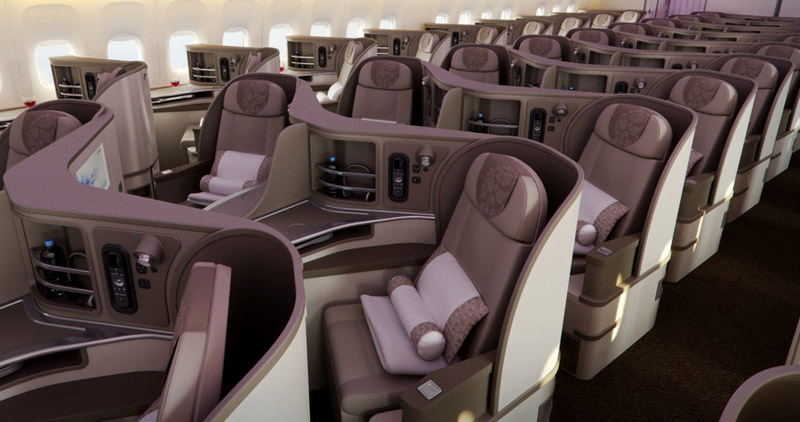 The airline releases a decent amount of award seats including in business and first class. Right now, for example, it’s very easy to get two business class seats on flights between Australia and Shanghai (and beyond) over the next 12 months. 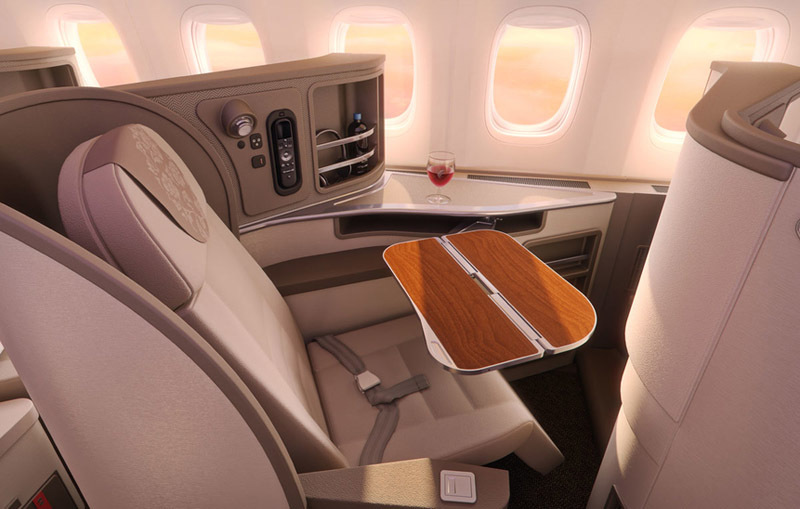 China Eastern does also offer first class services on many long-haul routes, but in Australia we only see these during the summer months (and then not on all routes – for example, I can only see first class next summer on Sydney flights). China Eastern mostly flies A330s to Australia, which unfortunately sport a dated 2-2-2 layout in business class (and no first class). 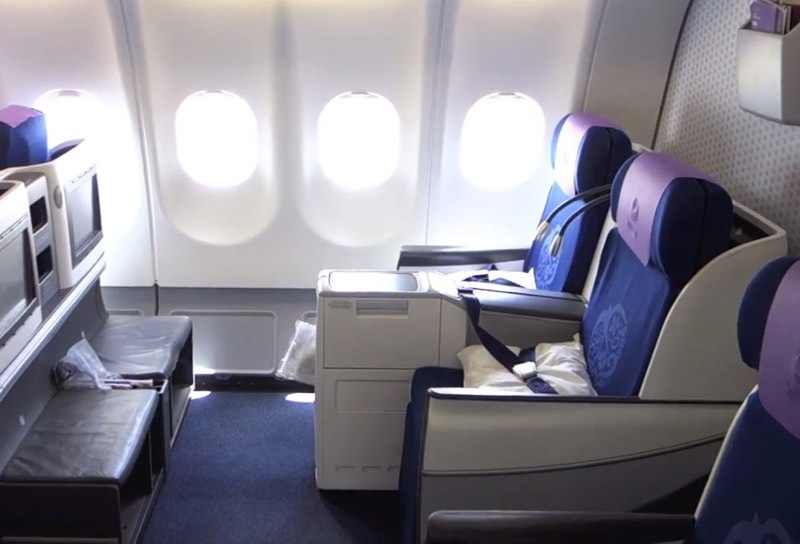 On the airline’s Boeing 777s – which fly seasonally to Australia and are also seen on many routes to Europe and North America – business class has a more modern 1-2-1 layout. 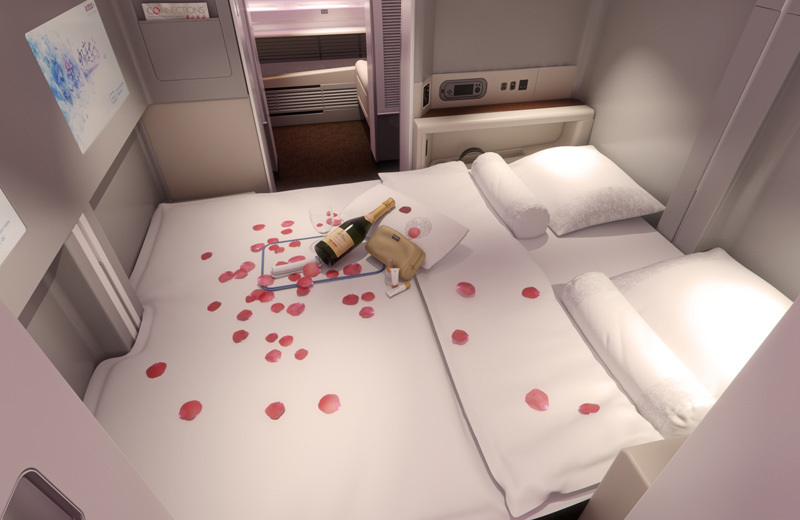 The 777s also include first class “suites”, two of which can be converted into a “double bed”. A one-way flight from Sydney or Melbourne to Shanghai costs 78,000 points in business class or 114,000 points in first, plus modest taxes and fees. 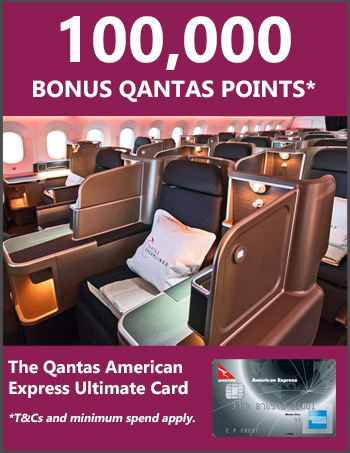 The points cost between Brisbane and Shanghai is a little cheaper (65,000 points in business class; unlikely that first class will be offered). A one-way flight from Australia to Europe or North America will set you back up to 139,000 in business class or 203,000 in first. 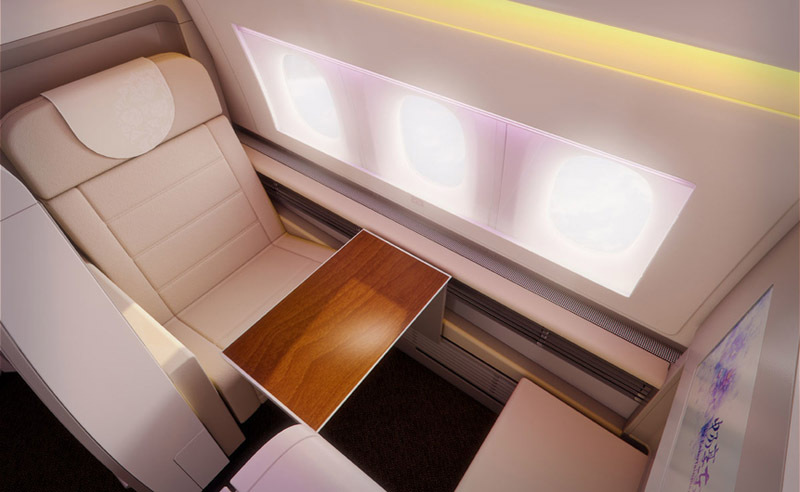 You can also book a mixed business/first class fare, where the price will vary. Note that for some odd reason, the Qantas website isn’t delivering results between Australia and some destinations. For example, seats don’t appear when searching for Melbourne-New York City, even though the airline flies there and seats are available. You might be able to get around this glitch by using the multi-city tool to book. Simply search for each leg separately (i.e. Melbourne-Shanghai and then Shanghai-New York) and so long as the connection time is less than 24 hours, the fare will be priced as a standard one-way fare based on the total distance travelled. 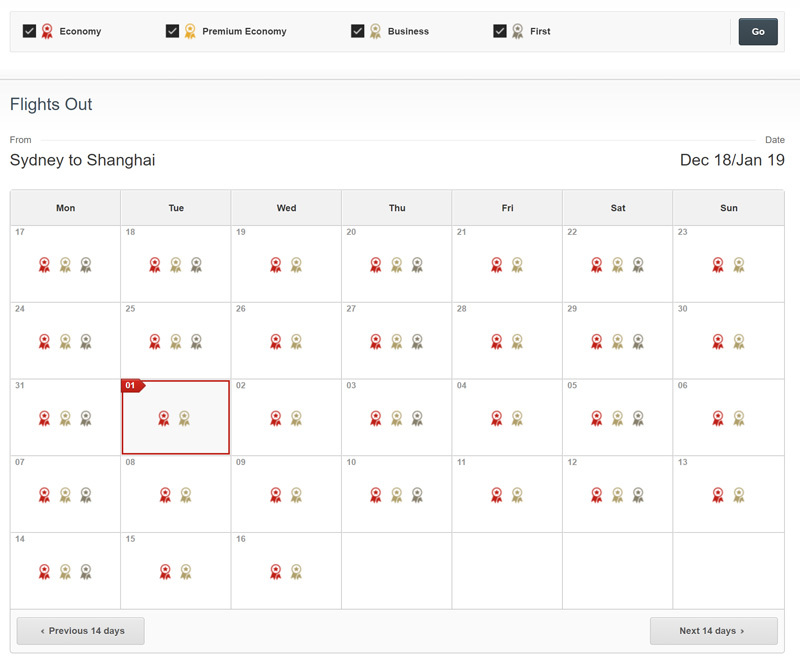 You can also opt for a stopover in Shanghai, but then each flight will be priced separately. Finally, I should add that I haven’t flown China Eastern before, but based on other travellers’ reviews, my impression is that the quality of the food, dining and service can be patchy. I wouldn’t expect the kind of polished service you’d normally get with Qantas partners like Japan Airlines or Cathay Pacific – but still, if this is the only option you have, go for it.